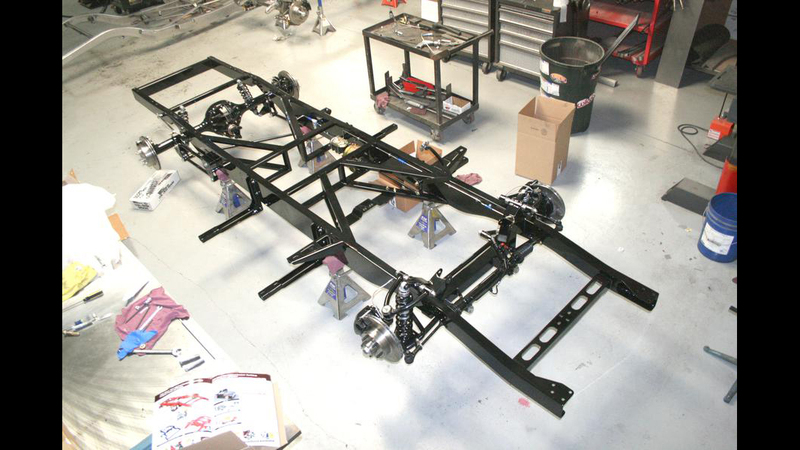 We are proud to offer 1953-1956 Ford Pickup Custom IFS Chassis. The frame features main rails with an extended height from 6” to 8” for increased rigidity and clearance between upper and lower x-members while still retaining the original profile. We offer chassis for cruising, autocrossing, drag racing, or fully polished show-stoppers and anything in between. We offer a wide variety of options that allow you to custom tailor a chassis to meet your specific needs. The 4-Link Rear Suspension creates a lowered stance for superior handling via a lowered center of gravity. Smooth ride, better handling, minimal weight and greater axle control are just the beginning. Adjustable 4-Link bars allow fine tuning of wheelbase/pinion angle, eliminate wheel hop and provide greater axle control. Height adjustable coil-overs plus adjustable mounting positions provide many options for desired ride height. Energy Suspension provides the polyurethane bushings with lubrication valleys and come with their patented poly lube. 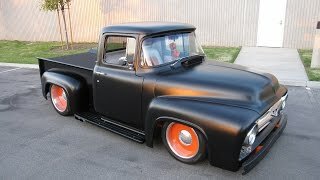 Only American made steel is used to manufacture this TCI Engineering 1953-1956 Ford Pickup Custom IFS Chassis.